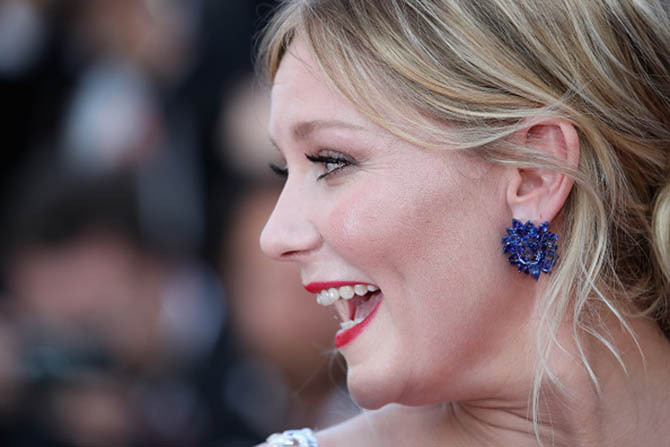 I have said it before, there is as much, possibly more, extraordinary jewelry at the Cannes Film Festival than the entire two-month long Awards Season. Following is all the best and brightest designs spotted at the 2017 festivities. Diane Kruger, who won the Best Actress prize for her role in the German film In the Fade, paired a Chopard necklace with her black gown by Jonathan Simkhai. Uma Thurman wore a black, shirt pants and tuxedo jacket Boucheron’s Lys Radiant necklace set with rock crystal, diamonds and white gold. Jessica Chastain in a Prada dress and Piaget pearl tassel necklace worn backwards. Francois-Henri Pinault and Gael Garcia Bernal with Salma Hayek who is wearing a Gucci dress and a diamond and pearl ribbon ring by Boucheron. 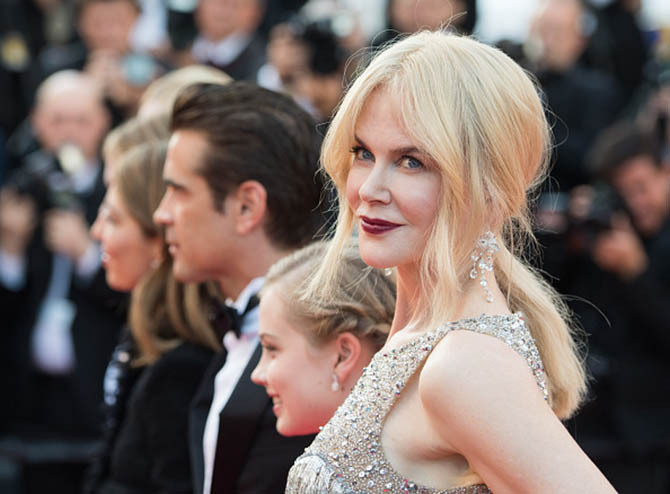 Nicole Kidman in Stephen Russell antique diamond jewelry. 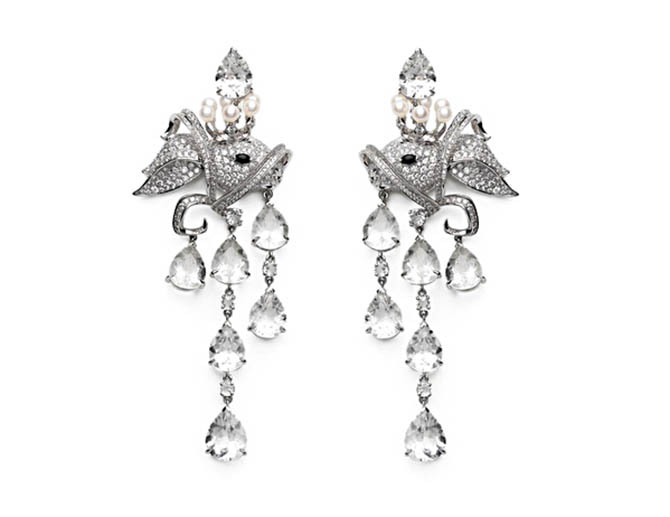 Kendall Jenner in a Giambattista Valli gown and pear shape diamond earrings form Chopard. 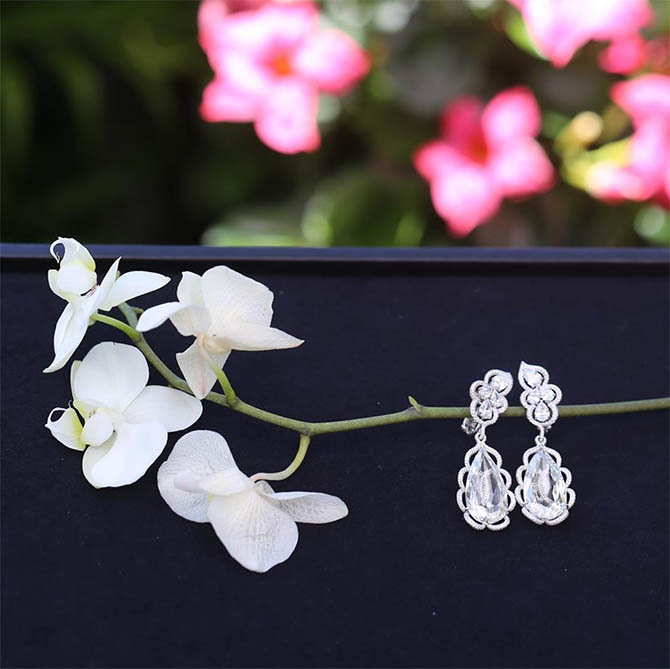 Jessica Chastain in long diamond earrings from the Piaget Sunlight Journey collection. 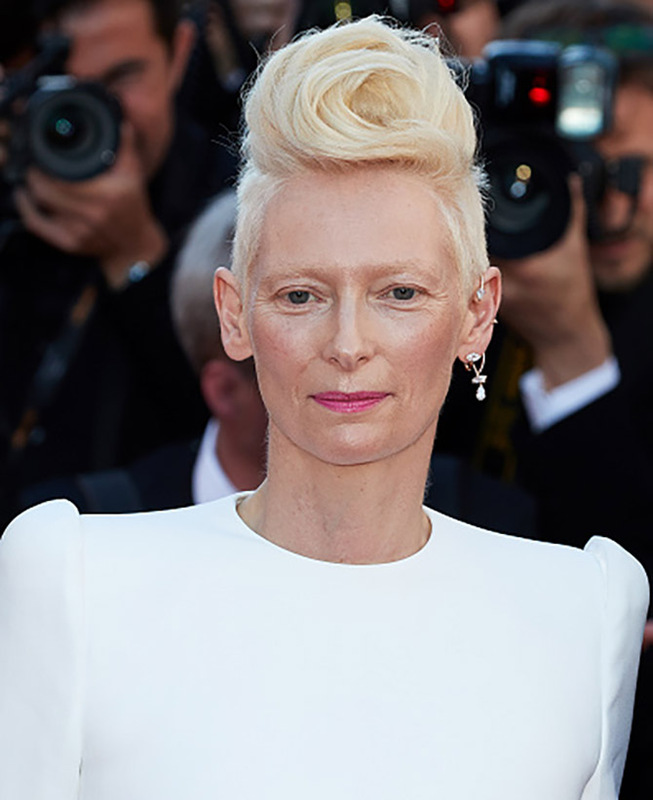 Tilada Swinton in a single diamond ear cuff by Repossi. Lily Collins in a diamond necklace by Bulgari. 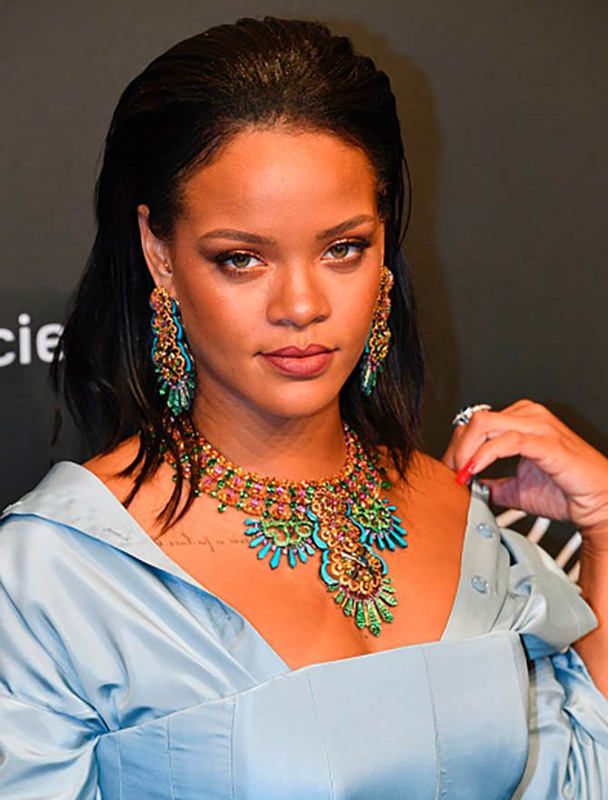 Rihanna wore an off-white silk coat a taffeta coat and bustier dress with Chopard jewels. Bella Hadid in a Dior red silk quilted gown an a Bulgari Serpenti necklace set with almost 75-carats of diamonds and a Serpenti bracelet with over 50-carats of pavé set diamonds. 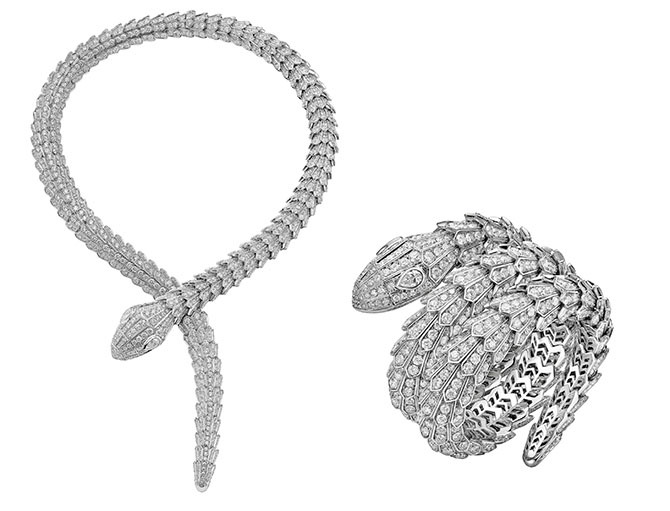 The model wore two of the same style bracelets to the MET Gala. Julianne Moore in Chopard diamond earrings at the screening of her film Wonderstruck. 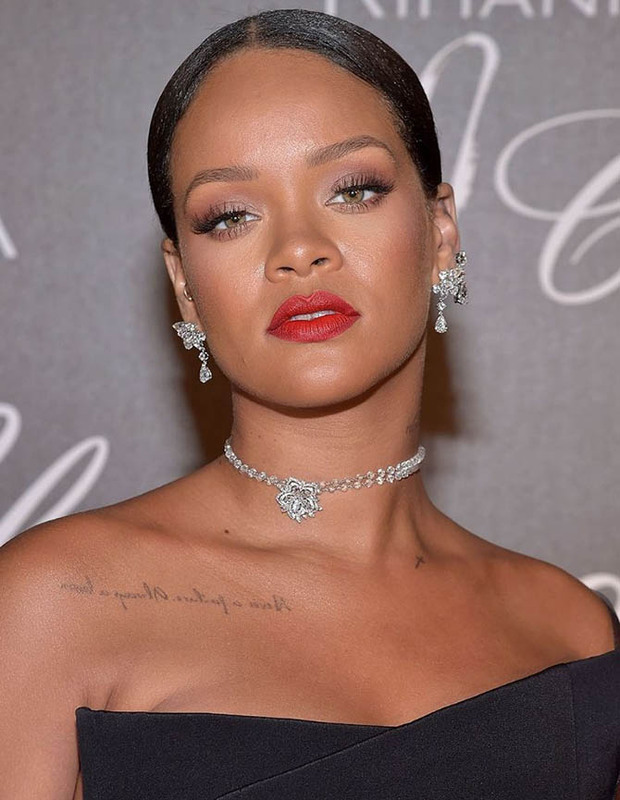 Adriana Lima in Chopard bib necklace similar in style to the 157-carat bib diamond necklace worn by Jennifer Lawrence at the Golden Globes in 2015. Jessica Chastain, who is a member of the Feature Film jury, in Piaget’s ruby and diamond Sun on Fire Necklace with a 5-carat pear shape diamond at the center. 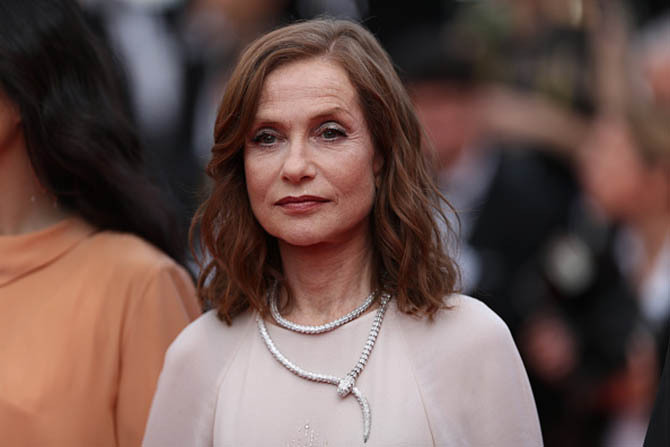 Marion Cotillard, who is a member of the Feature Film jury, showed French girl panache choosing to wear a diamond watch from Chopard rather than a jewel. 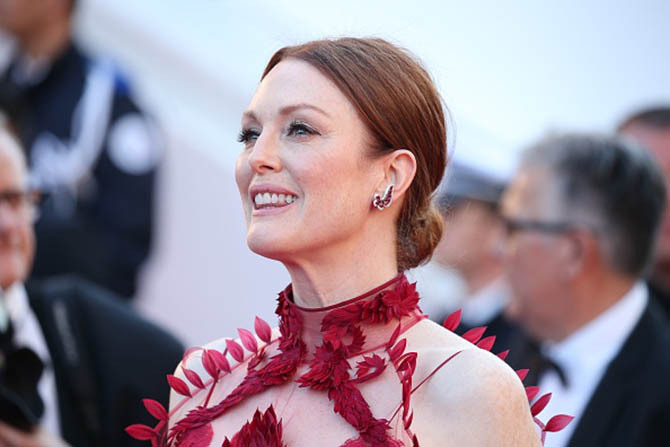 Julianne Moore lit up her sensational Givenchy dress with Chopard earrings featuring Gemfields Mozambican rubies and diamonds. 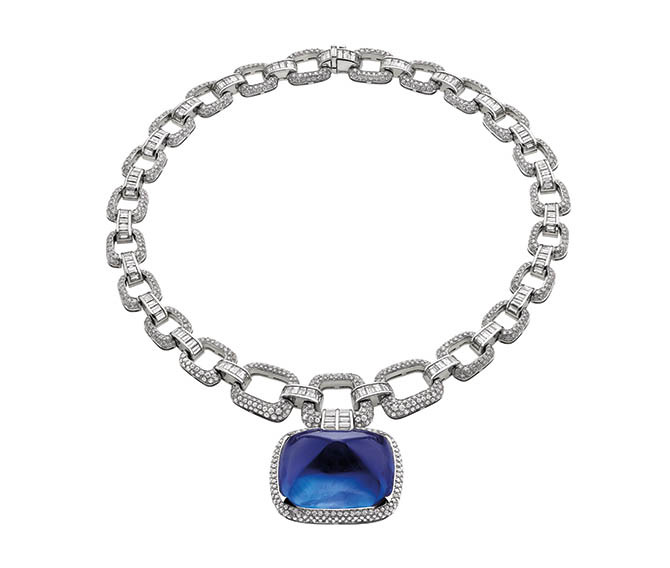 Bella Hadid debuted Bulgari’s Il Magnifico necklace platinum and diamond necklace set with a 180-carat cabochon sapphire. Emily Ratajkowski extravagantly layered two Bulgari necklaces and caused a sensation on the red carpet and with her Instagram post. 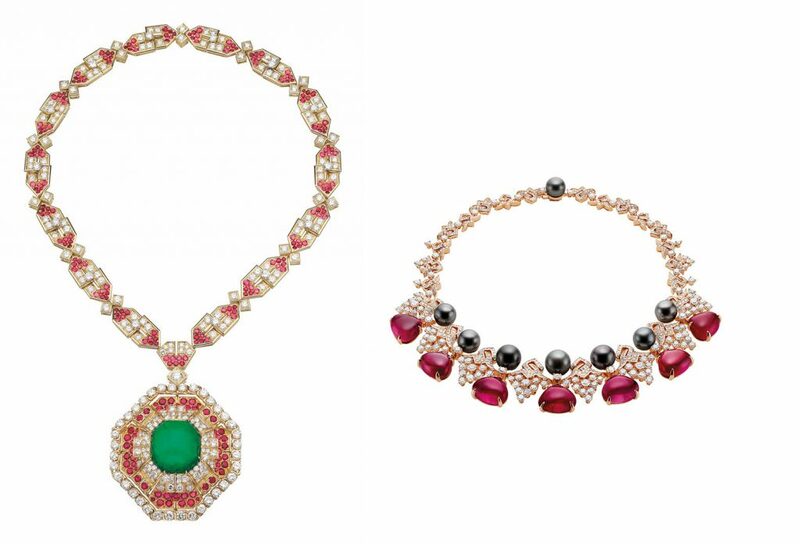 The diamond, ruby and emerald long pendant necklace is a vintage jewel made in 1969. 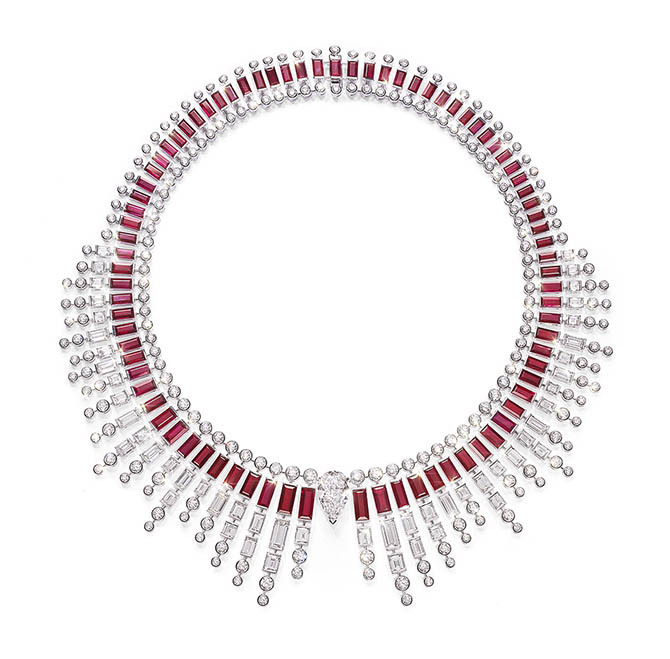 The pink gold necklace from the High Jewelry collection is set with pearls, rubellites and diamonds.